Affordable Australian Sandstone Ready To Go! The Team at Gosford Quarries has been working hard to ensure that everyone's favourite Aussie Sandstone is readily available and at a great price too! Old favourites such as SLABS, PAVERS, CAPPING and EDGING are still available as well as some New Stock items like Step and Riser Combos, Rockfaced Capping and Coping, 30mm and 20mm Light-weight Cladding and much more. 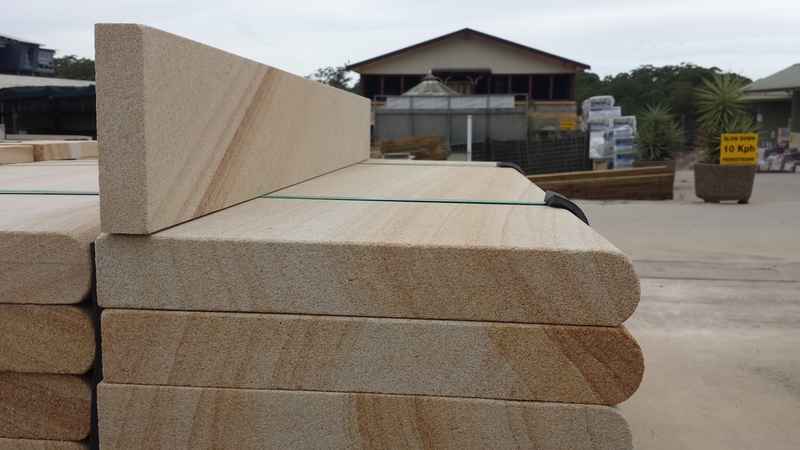 Come in to one of our convenient locations and have a look at the beautiful range of Natural Australian Sandstone. You can also speak to our friendly and experienced staff about any specialty, custom-cut stone you may need for your project.